Last week I spoke to you about Personal Years and what these means. I explained that we operate in 9-year cycles and as part of this cycle, there are better times and years and easier times and years to do things. Understanding the personal year that you are currently in helps you understand what the soil is fertile for right NOW In your life and business. Read More. There are cosmic currents all around us and energies and vibrations that affect the world in which we live in. These change on a daily basis but can be best attributed to personal years and personal months. In terms of personal years, we work in 9-year cycles. Personal years start on your birthday and end on your birthday and are related to what you are currently working on. Knowing which personal year, you are currently in helps you work with the vibration of the year and its energies. It is always the right time to do the right thing but there are better times and years, easier times and years to do things. The main realisation I have come to throughout my journey with Numerology is this … ‘If the cake is not ready, you do not want to take it out of the oven!’ The modern world has us running from the assumption that we can have everything now, alas this is not true! Sometimes we are not ready for things to come into fruition. Timing is always paramount and working in alignment with our personal years help us to literally ‘go with the flow …’. It was my birthday recently on the 4th April and I entered my personal year 11. Last year, birthday to birthday I was in a Personal Year 1 and Personal Year 1 is all about doing new things, different things, getting more niche, opening up to new possibilities, starting new initiatives, ideas and projects, taking a lot of new inspired action and keeping momentum. This was evident for me last year with regards to the ‘new-ness’ in my life and business, starting my new venture ‘Bizology’, the opportunities that presented themselves to me and the seeds that I planted. As 1 is about new beginnings, what we sew, seed and plant and attend to now in our business will determine the rewards of our harvest for the next 9 years. 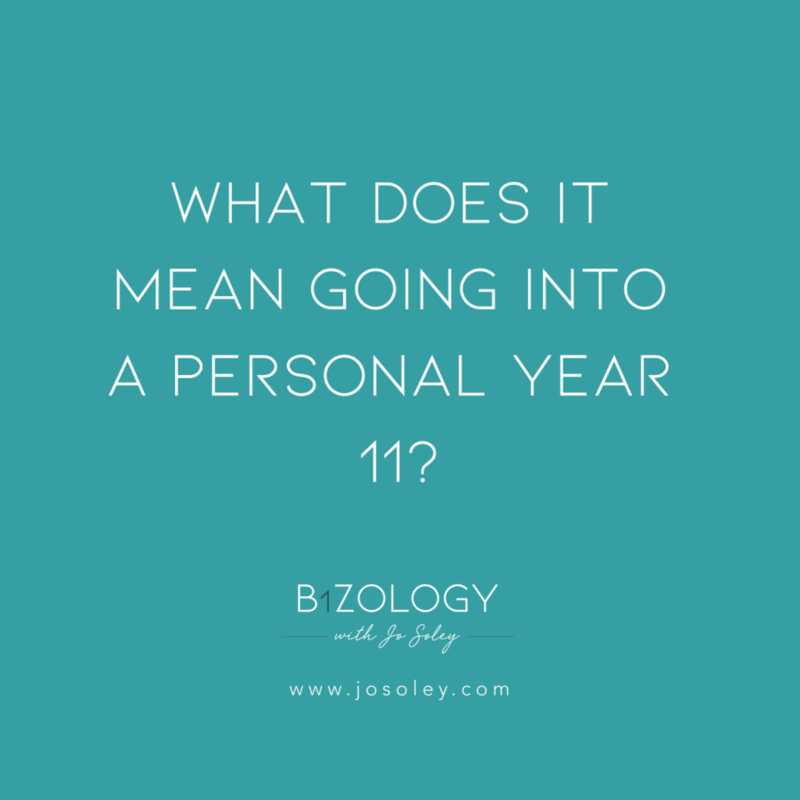 So, what is a personal year 11 about? This year is all about spiritual connection, it can be an emotional year, but it is a year to go deep. This is going to be a big year in my life, and to gain maximum benefit it is to be actively tuned into. As I am aware, I am able to do this. Personal year 11 is all about self-discovery and deepening of spiritual awareness. This year my intuitive and psychic capacity will be at an all time high, and this is something that I can ensure I harness and bring into my work, not only can I reach deeper heights but I can take my clients there in the work we do together. BUT practicality is required as every day life goes on, so balance is needed. I am aware that this year will be an emotional one, that from times to times I may feel highly strung with nervous tension, that creativity and self-expression are highlighted now, that dreams may be vivid, that emotions are running on high and spirituality, art, anything creative should be pursued this year. Because I am aware of this, I have strategies to help me. Yes, this is a year to go deep, but it is also a year to take a break, look after me, plan more exercise, meditation and self-care into my working day. This isn’t my default as I have a lot of 1 energy in my numeric chart, which is fire, I can burn out, so the strategy is to implement these tools and techniques to help me. I often describe a plane journey to explain personal years. So, in a personal year 1, the plane takes off and in a personal year 11, the plane hits some turbulence and seat belts need to go on while we ride the turbulence. 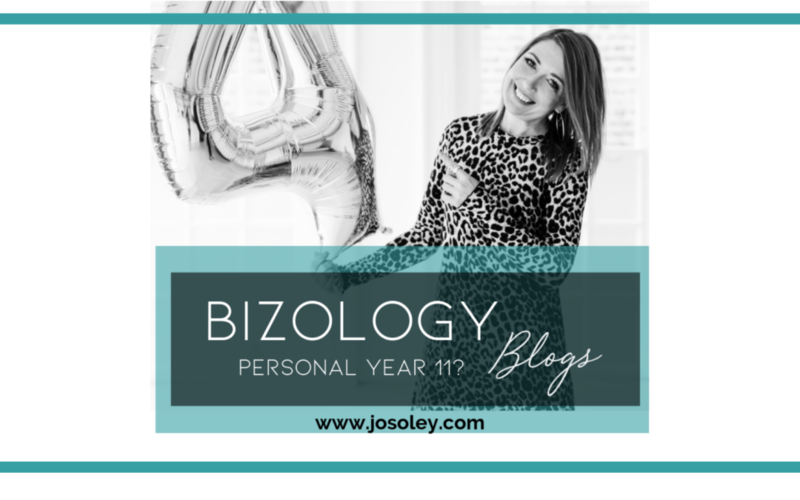 When I speak to my clients and they are in, or coming out of a personal year 11, I often say to them you have had an emotional or turbulent year and you have gone deep this year they always say, yes tell me about it! As, if controlled my emotions will really lead me into a wonderful year this year, one which I will never forget BUT because I have the resources to deal with it, I am going into this master number personal year 11 with the attitude and ability to cope.